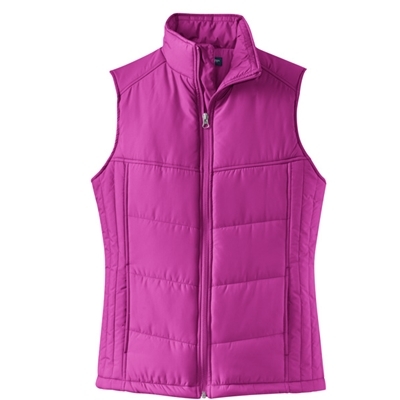 100% polyester shell, 100% polyester lining, 6-ounce polyfill. Zip-through cadet collar with hidden zippered chest pocket. Reverse coil zipper with interior storm flap and interior pocket with drawcord and toggle.